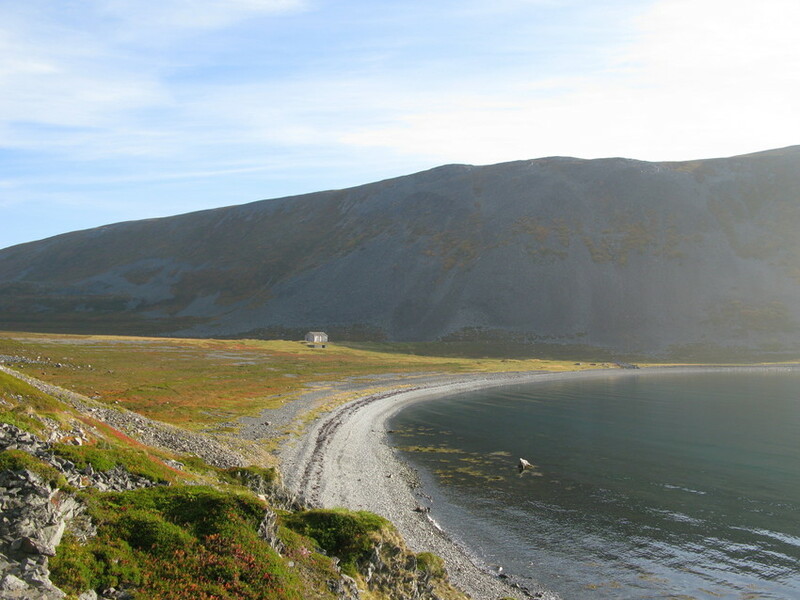 Close to rich fishing grounds and with a beach where it was easy to drag the boats ashore, Kjeskelvik was settled early. 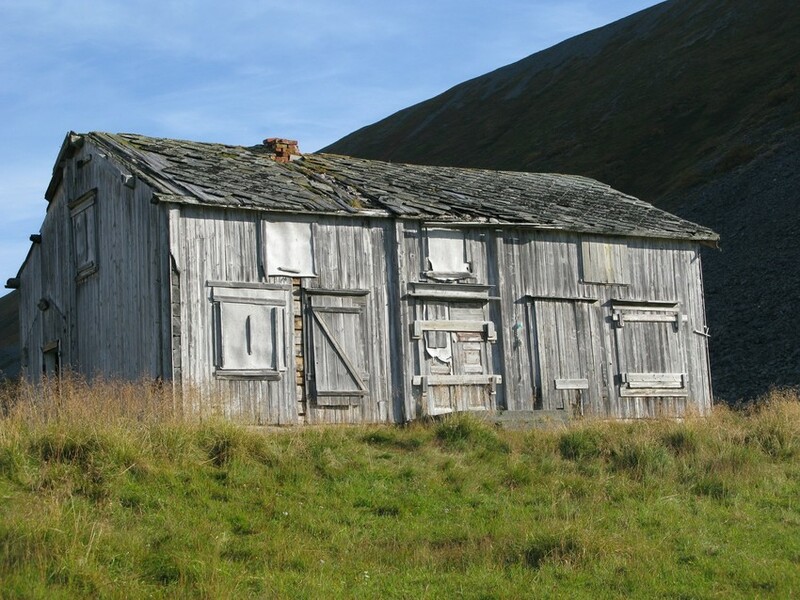 In older sources, the place is described as "a hamlet with many goathis, used by the sea Sami from the whole of the Tana fiord." The remains of these dwellings are still clearly visible. In 1837, Ole and Martha Jensen became the first Norwegians to settle here. In the 20th century, motorization of the fishing fleet favoured places with better harbour conditions, and Kjeskelvik was gradually deserted. 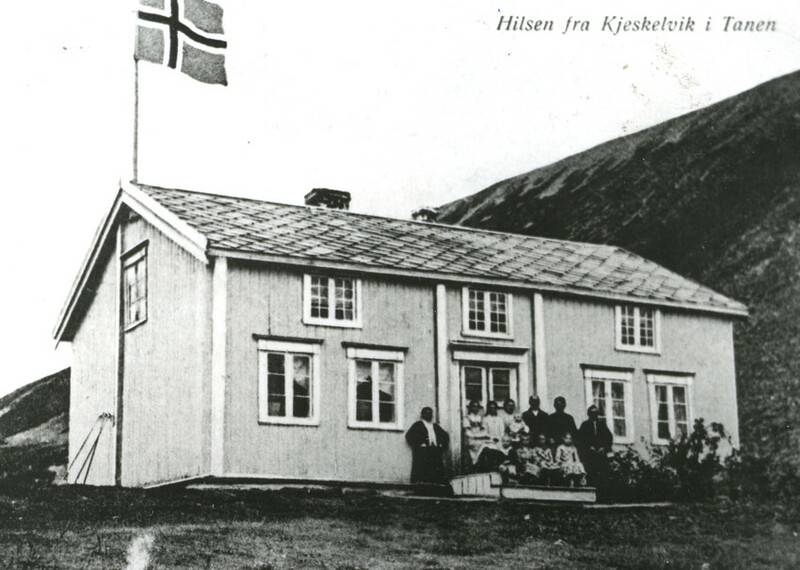 The last resident, Andreas Eriksen (whose baptism in 1910 is documented on the photo to the left) moved away in 1955.